Premier Roofing and Contracting offers a wide range of roofing shingle options from leading manufacturers. From cost-effective three-tab shingles to high-performance specialty products, we can help you choose the right shingle for your home and budget. Call us at 1-844-656-9641 or click below to request an in-home consultation and learn more about the shingle types we offer, along with the types of warranties. 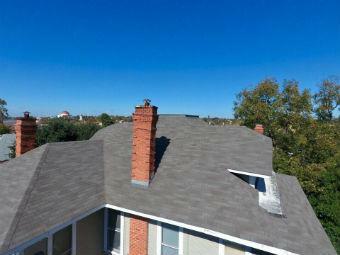 We provide free estimates for roofing services in San Antonio, New Braunfels, Universal City and nearby. Tile shingles are one of the most durable roofing materials. Roof tiles are typically made from clay or slate and come in a variety of shapes. Tile is much more durable and lasts much longer than traditional shingles. Tile shingles provide insulation and reduce heat transfer, which can help reduce your heating and cooling costs. Contact us today to schedule your no-obligation consultation for roof replacement, new construction, or roofing repair. We will help you choose the right shingles and provide a free inspection for your project. We proudly offer professional installation in Leon Valley, Alamo Heights, Schertz, Helotes, Converse, Universal City, Cibolo and surrounding areas.